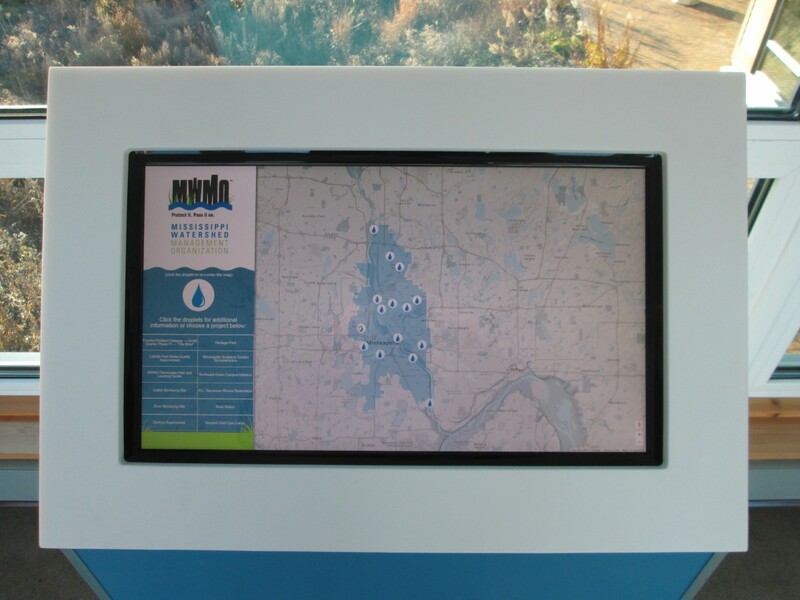 The Mississippi Watershed Management Organization (MWMO) in Minneapolis has deployed a digital signage network powered by Tightrope Media Systems as an extension of its educational and communication initiatives. Using Tightrope's Carousel digital signage software, the network comprises three interactive kiosks and three static monitors that engage and inform visitors, students and staff. We needed something that was straightforward and easy to use…Most importantly, we wanted to engage our visitors through dynamic and interactive content. The MWMO is a public organization that partners to protect and improve water quality and habitat in its urban watershed. Prior to the Carousel network deployment, the watershed organization relied on posters, flyers and handouts inside its Learning Center and offices. In addition to not knowing whether audiences were actually reading this material, the balance of keeping printed content relevant and up to date was an ongoing challenge. 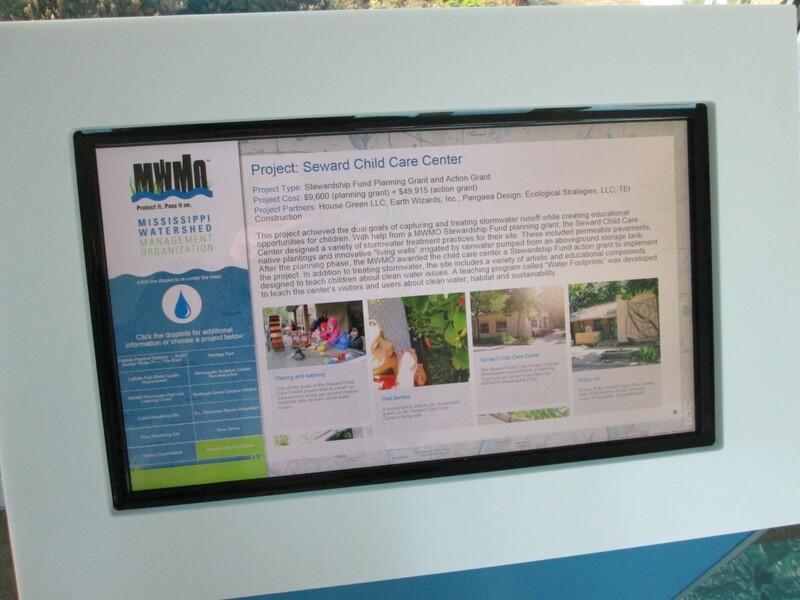 "We wanted the MWMO Learning Center to become a more interpretive space, and digital signage was an early part of that plan," said Michele Ross, the MWMO's professional training and community learning specialist. "We really had to consider what technology to use and what content we would present to make this a more viable and valuable alternative to printed material. We needed something that was straightforward and easy to use since we would be on a learning curve, and we wanted a system we could quickly update. Most importantly, we wanted a system that would engage our visitors through dynamic and interactive content." Ross and her colleagues selected Carousel based on its ability to support both interactive and static monitors, and to quickly turn around modifications to existing content. Tightrope's Professional Services division worked in cooperation with the MWMO to customize templates with MWMO's fonts and colors and create graphical layouts for the screens, while training MWMO end users on content management and updates using Carousel's flexible, user-friendly web-based interface. The custom templates have been especially useful for MWMO from a branding and communication perspective. The static screens, located in the main lobby, stairwell and staff office, rotate between two different templates.  The main template offers a left-hand column for informative text, including event information and educational blog posts, while two zones on the right side supports high-resolution images, an active Twitter feed, and dynamic time and weather displays.  A second template provides full-screen video of educational and informational content. 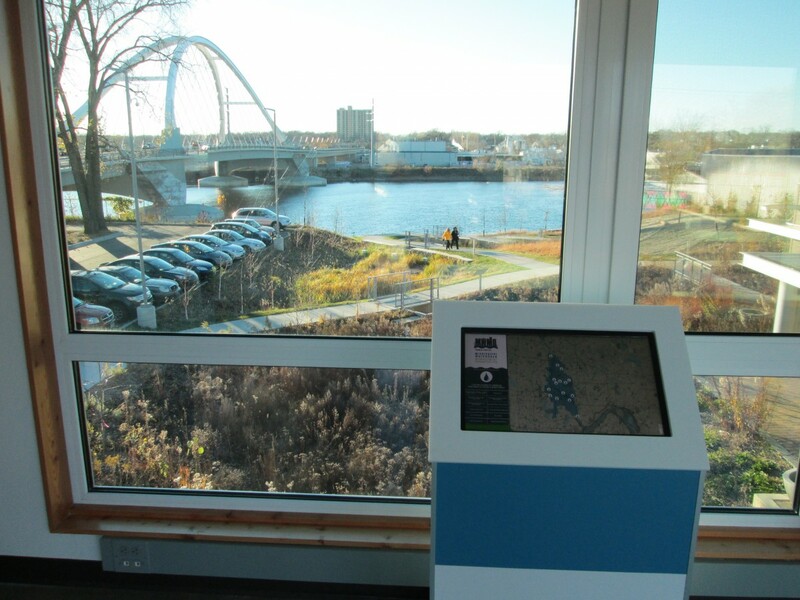 The interactive kiosks are the star of the network, providing visitors with a highly visual display that enable visitors to highlight and click on up to 16 raindrop-shaped pins. Each pin leads to a project page with additional detail on watershed projects and MWMO initiatives, including pictures, video and a brief project synopsis. The screens default to screensavers that draw attention during periods of inactivity. "Carousel has allowed us to disseminate a diverse array of information," said Ross. "In addition to increasing dwell times with visitors and students through engaging content, our staff is up to speed on events, activities and calendars. Everyone knows what is going on throughout the building, and the entire network maintains the look and feel of the work we do at MWMO. Above all, the visual quality of the content and reliability of playout with Carousel has been great."